Thank you for choosing to shop at PlantAddicts.com! We have a passion for plants and want to serve other people who love plants the best we possibly can! We ship to the lower 48 states in the Continental United States. When you place an order we will ship the best looking plant directly to your door via FedEx. Our expert growing partners strategically located through the United States have nursery quality plants that you cannot find at big box retailers. We will ship to you the earliest date possible, depending on the time of year and current weather conditions. 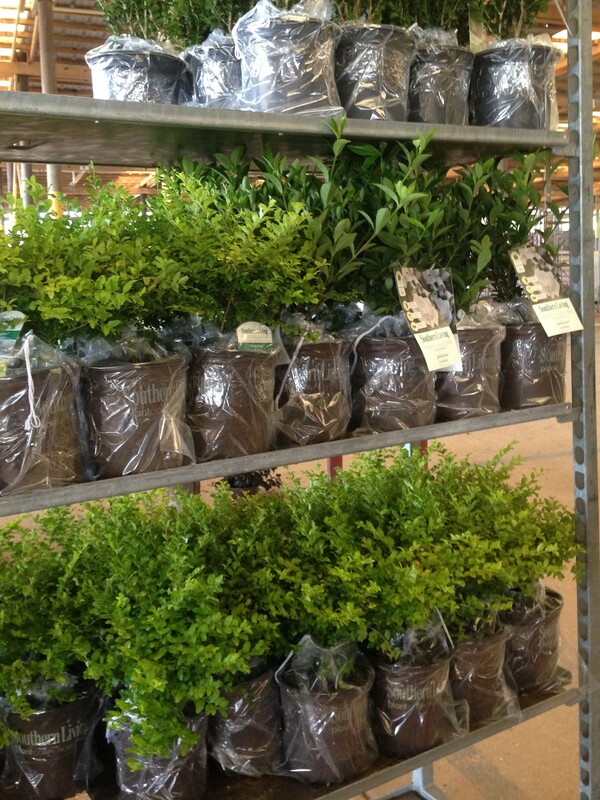 Typically, we will ship plants the first part of the week to ensure your plants are received by the weekend. Please check out our shipping guidelines for seasonal shipping conditions (heat & cold) so you have a general idea of when to expect your plants. We want your plant to arrive happy and healthy so we may delay shipping depending on temperatures in your area and also where the plant will be in transit. 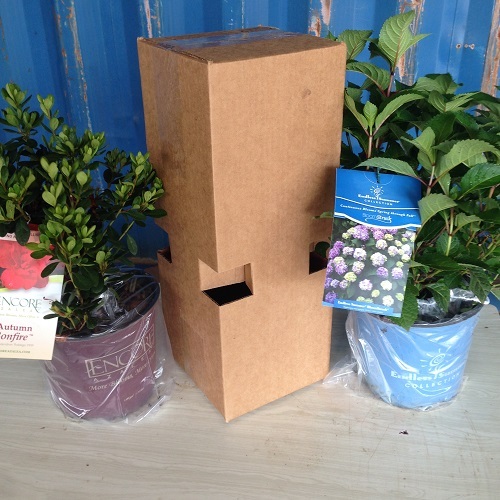 When we ship, we are careful to package your plants as careful as possible. 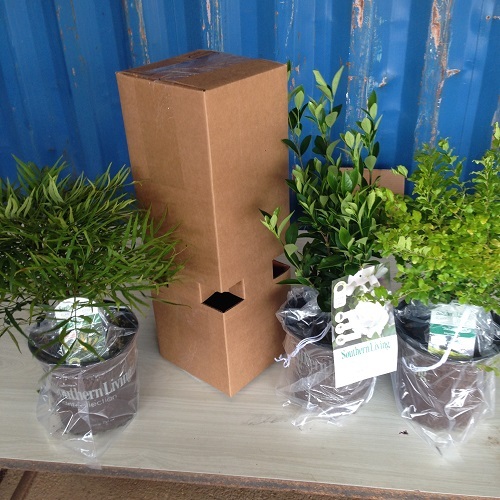 We have custom formulated boxes that help keep plants safe during shipping. We also wrap each plant in plastic to help keep the dirt in the pot, and moisture in the dirt to keep the roots safe. Depending on timing of your order, we will pull plants and get them shipped out the very next day after ordering. Once the plant is shipped out, you will receive an email with tracking information and the expected arrival date. Because these are perishable items, we do not accept preference returns. No exceptions. It is just not feasible to ship a plant out and have it returned and the plant to live through that much stress. We highly recommend buying a warranty on all plants ordered from us. Since we are not a big box store, we cannot offer an unrealistic plant guarantee. There are too many variables that could kill a plant, including hungry animals, poor soil conditions, drought, over watering, disease, insects and many other factors. We do guarantee that the plants ordered will arrive to your house happy & healthy, but we cannot guarantee a plant will live once it is out of our possession. Damaged branches and leaves that occur during shipping are not considered defective or damaged, as this is normal wear and tear that plants can easily recover from. Please notify us within 3 days of delivery with any issues with the plant(s) you received. This can include dead plants, dried out roots, and incorrect items being shipped out. Our 1 year warranty needs to be purchased at the same time as the plant. This will cover the plant from dying for any reason, no questions asked. This guarantee does not cover shipping costs. Simply let us know if your plant has died within 1 year of receiving it, and we will ship you a new plant (you cover the shipping costs). For returns, please email us within 3 business days of receiving the plant. Again, because these are living specimens we cannot accept preference returns. If the plant is damaged beyond recovery during shipping, we will email you with instructions on how to get a replacement. If you receive the incorrect plant, we will work with you to send the correct plant as soon as possible, or provide a refund. You should expect to see refunds within 4-5 business days once the return is complete.